I have always been fascinated by both mind and technology. 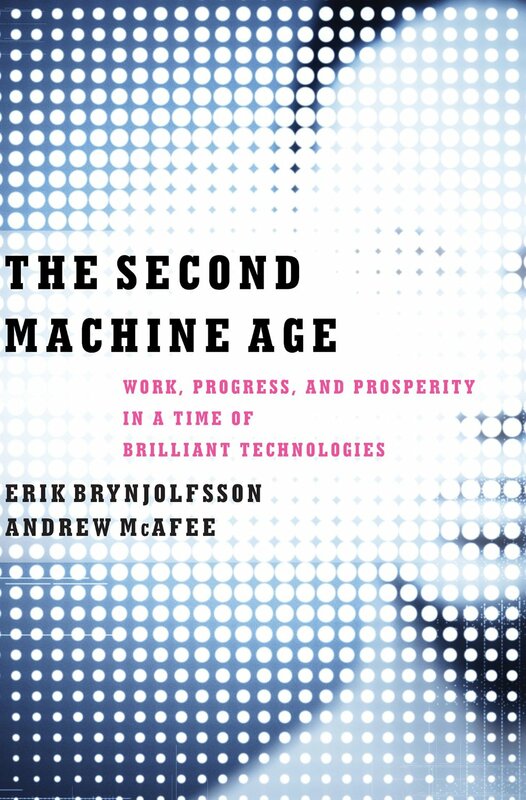 For a while now, I was debating whether to read The Further of Mind: The Scientific Quest to Understand, Enhance, and Empower the Mind by Michio Kaku or The Second Machine Age: Work, Progress and Prosperity in a Time of Brilliant Technology by Erick Brynjolfsson and Andrew McAfee. Erick Brynjolfsson is the director of MIT center for digital business, and Andrew McAfee is a principal scientist at MIT. Finally, I settled on the second book, and it was definitely a good read. The book starts with reminding us of how the advancement of technology started and how, for centuries, it progressed kind of slowly. The first machine age was the industrial revolution, which was born along with the steam engine in the late 1700s. This period was all about human muscle. It was not until about almost 30 years ago that technology started to really take off. Now, we are only in the beginnings of all the great changes to come as technology continues to make rapid advancements, which will result in humans finally overcoming all their mental and physical limitations. In the near future, the machines are going to take over and do all the work that was once done by man. While the computers talk to each other and the robots take over almost every task that there is, this, of course, could result in an even higher rate of unemployment and would definitely affect our future economy. Yet, looking at it optimistically in this information age, the authors claim that there would still be jobs for designers, engineers, inventors, superstars, cooks, and those with advanced education or those who are trained to work alongside with the robots, in partnership. Looking at advancements like Google’s self driving cars, Apple’s Siri voice recognition system, and IBM’s Watson, one can realize that the artificial intelligence has come a long way, and it will surely speed up further quite rapidly. Our technology could cripple our economy without any mercy; for example: email killing the post office, Skype killing phone companies, Napster killing music companies, unless we really learn how to make friends and learn how to work with the machines and not to fear them. Of course, we are now in the process of recovering from a difficult recession, and it is not, in particular, good news to hear that the robots are coming to take over our jobs, affect our lives, and reshape our economy, as well as reshaping our society. Still, I think that meanwhile and until what was promised in the book, the second machine age, actually happens, we would be all too busy walking around with our iPhones and iPads, and we would all be too engaged having an intense relationship with our computers. 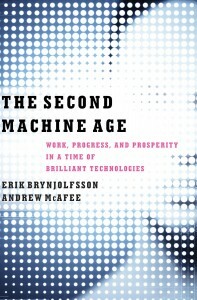 The Second Machine Age is a masterfully written and well-researched book – one of the most important and informative nonfiction books I have ever read.